Two months prior, Rhonda Spain knew something was wrong with her son, JD. He couldn’t lift his head and often choked when feeding. The doctor quickly diagnosed JD with hydrocephalus and told Rhonda there was a possibility of a neuromuscular disease as well. 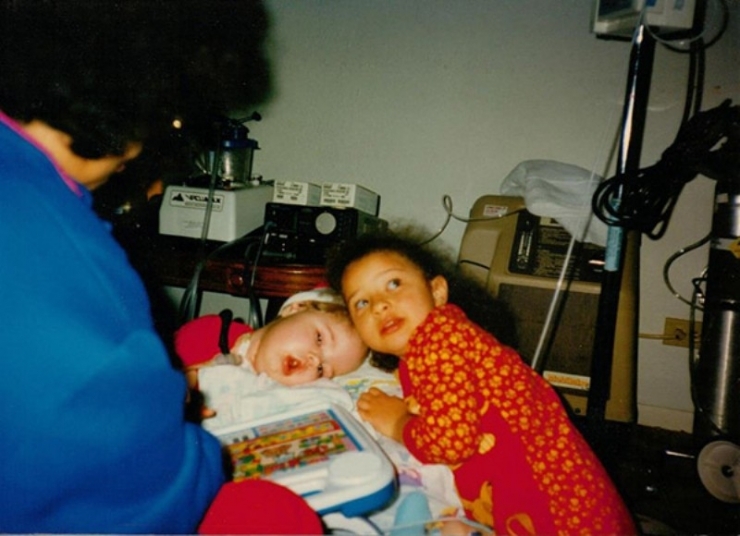 The hydrocephalus was causing an excess of fluid in JD’s brain. Without surgery to relieve the pressure, it would have led to his death. 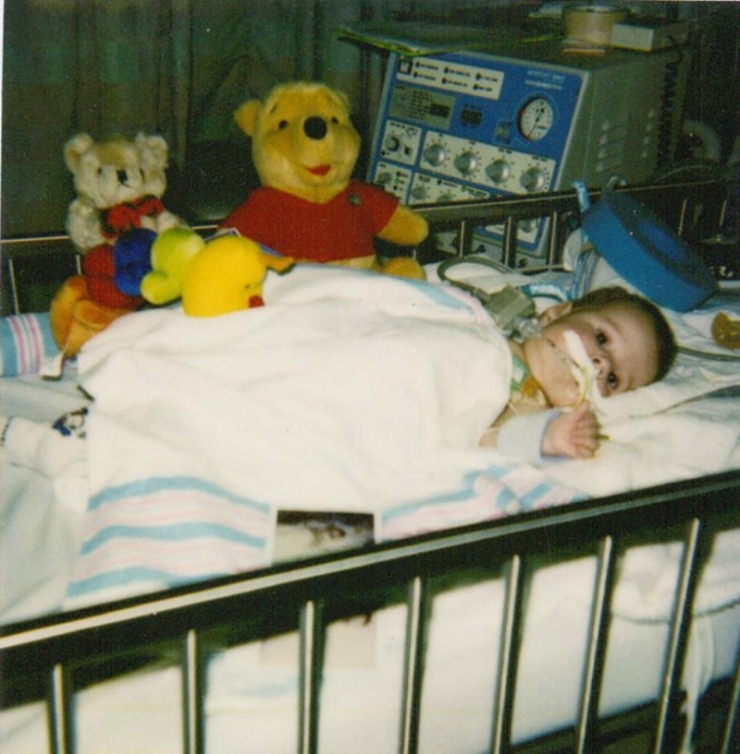 The real devastating news, however, came 7 days after surgery: JD was diagnosed with Spinal Muscular Atrophy Type 1. SMA robs people of physical strength by affecting the motor nerve cells in the spinal cord, taking away the ability to walk, eat, or breathe. 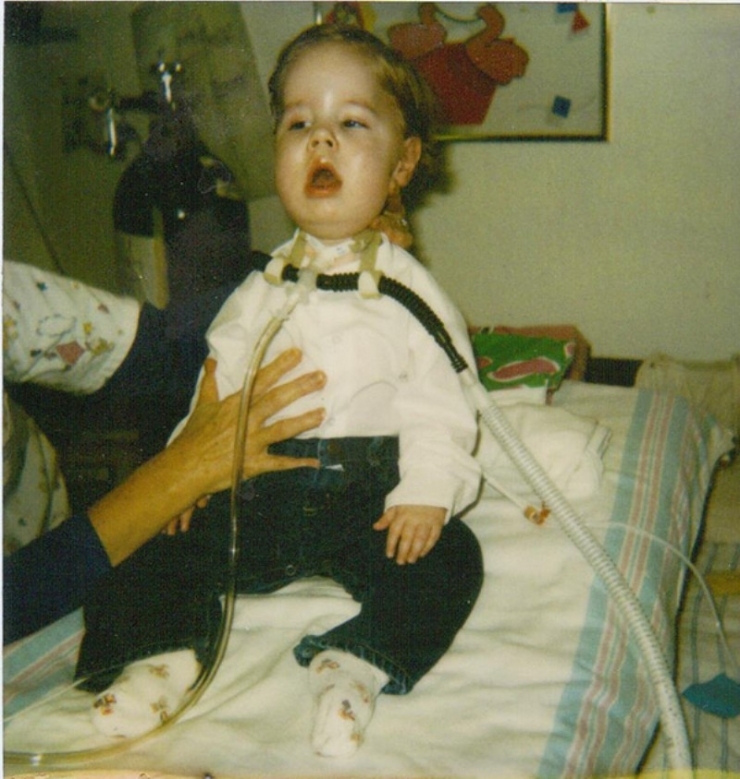 Doctors told Rhonda that JD was the first documented case of an infant with both hydrocephalus and SMA. Combined with the deadly respiratory virus... the outcome looked very grim. 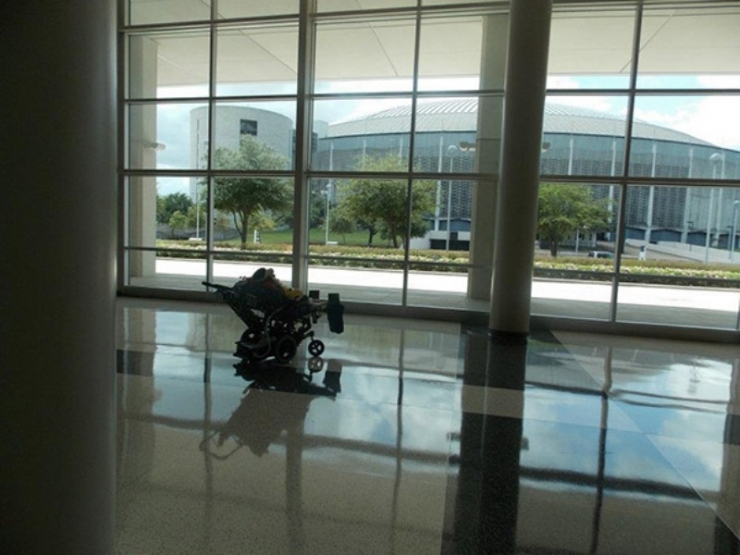 Doctors said JD likely would not survive to see the outside of the hospital again. 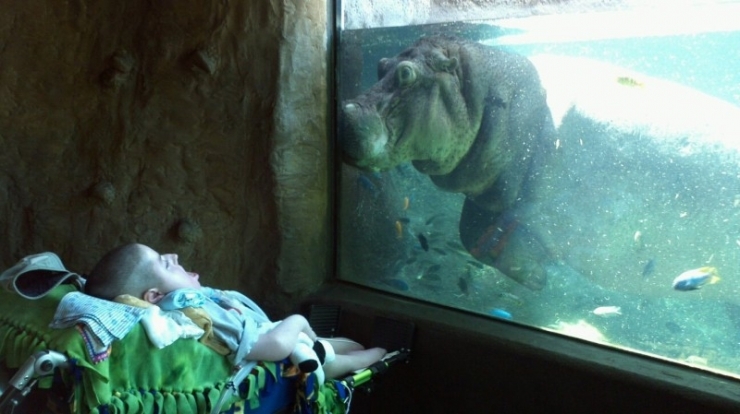 Even if he did, he would not live to see his second birthday. JD is now 19 years old, surprising all the experts. While Rhonda refuses to keep her son locked up at home, getting JD out and about has been taking its toll over the past 8 years. Any trip outside the home has turned into a marathon event. First they unplug JD’s life support from a permanent power supply. Rhonda manually pumps air into his lungs using an ambu bag while they connect him to a temporary power supply which is only good for 45 minutes. As JD grew up, so did the size and scope of his needs. 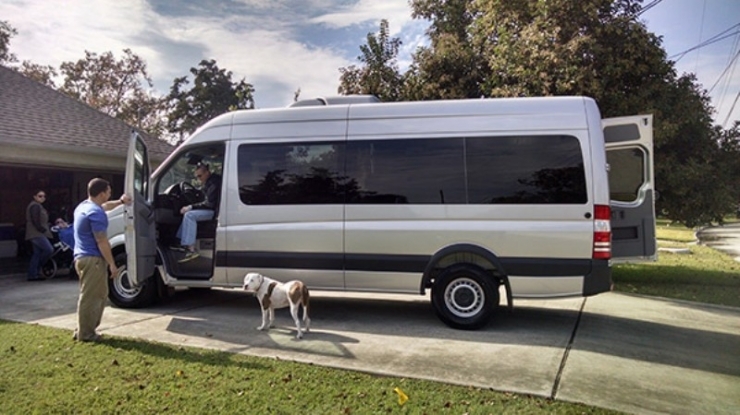 We’ve purchased a lot of ADA accessible vans this year, 15 to be exact. 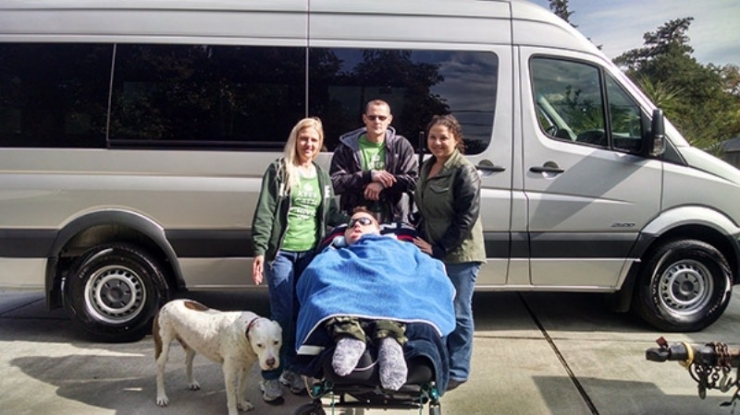 JD has a big family and even your standard ADA Van would not be big enough to accommodate he and the family, especially given that JD must lay flat during the trip. A big word began circulating here at Chive Charities, Freightliner. Can we do that? We should totally get a Freightliner for JD. Chive Charities is proud to announce that we are stepping up in a big way. 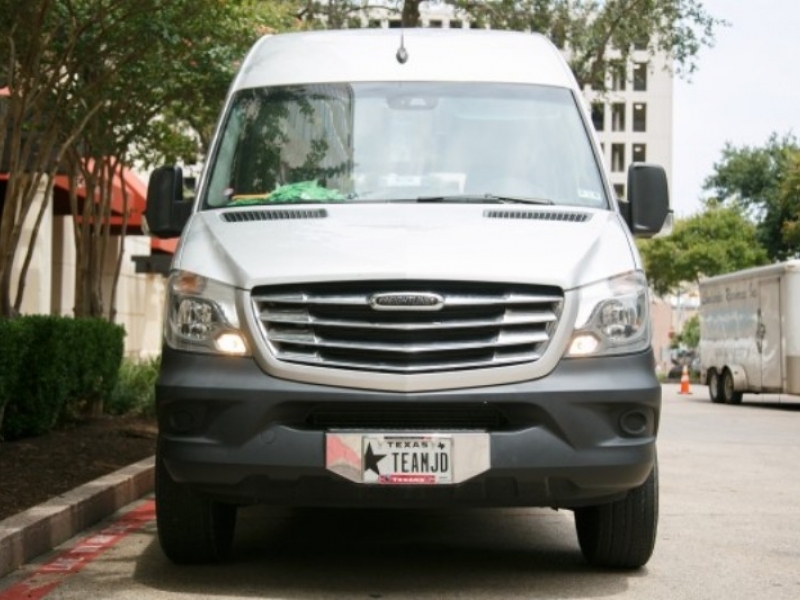 A grant of $99,000 from the generous donors of the Chive Fund is paying for an ADA Freightliner van with life support. 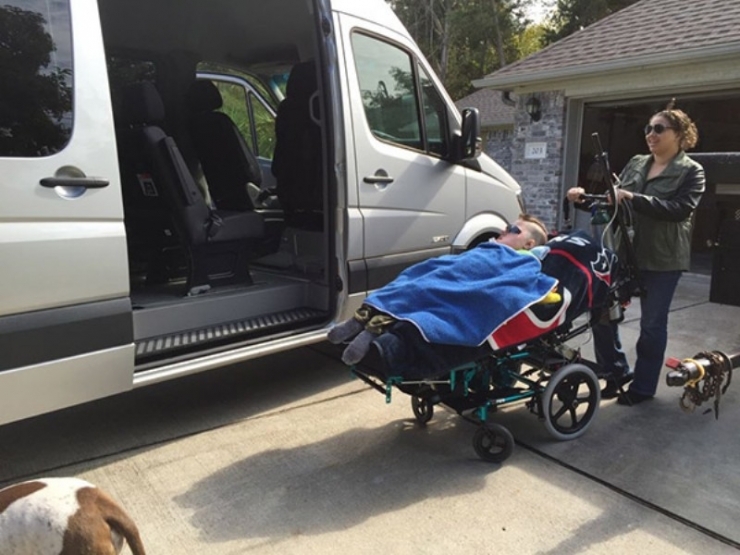 The van solves a number of issues for JD’s family. The rear wheelchair lift will make it safe to load JD into the vehicle. 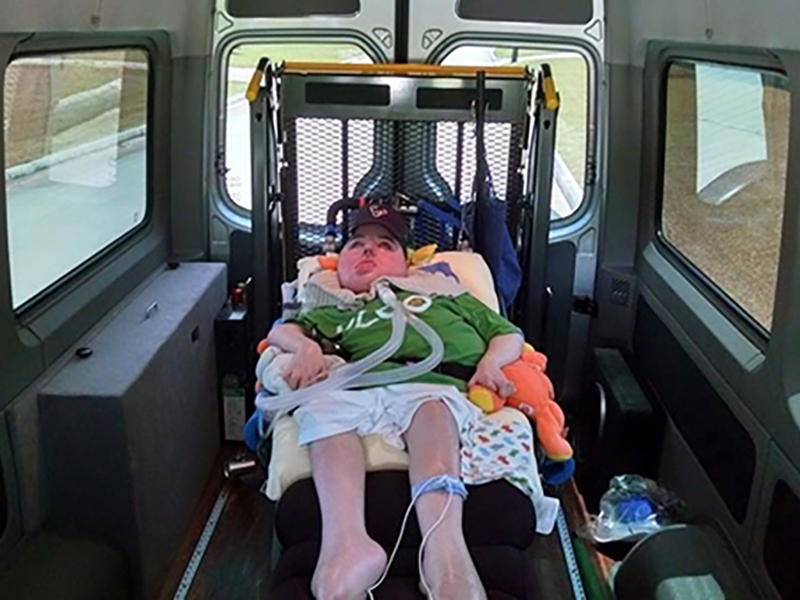 In addition to having plenty of room for JD to lay flat in his wheelchair, the van provides constant electricity to JD’s life support equipment. The family can now travel safely together, and the sky's the limit. JD's sister Maggie has been his biggest fan throughout his entire life. JD loves everything aquatic. 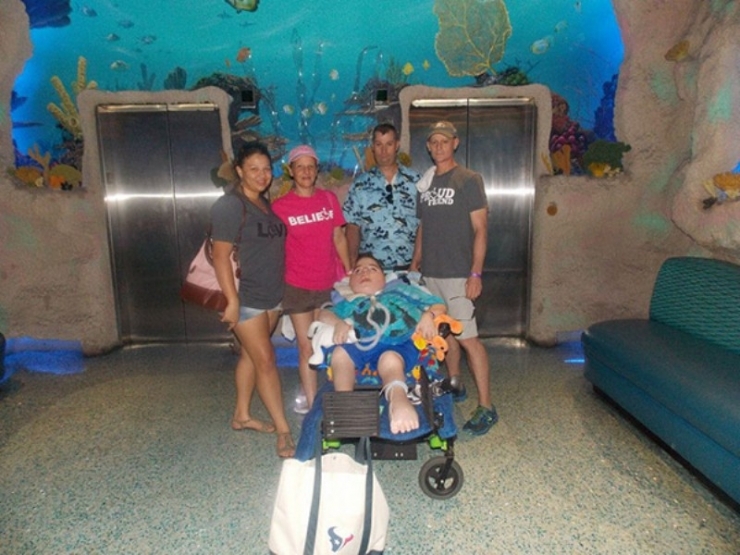 On JD’s 18th birthday, he got to visit the aquarium. According to Rhonda, JD is the #1 Houston Texans fan. 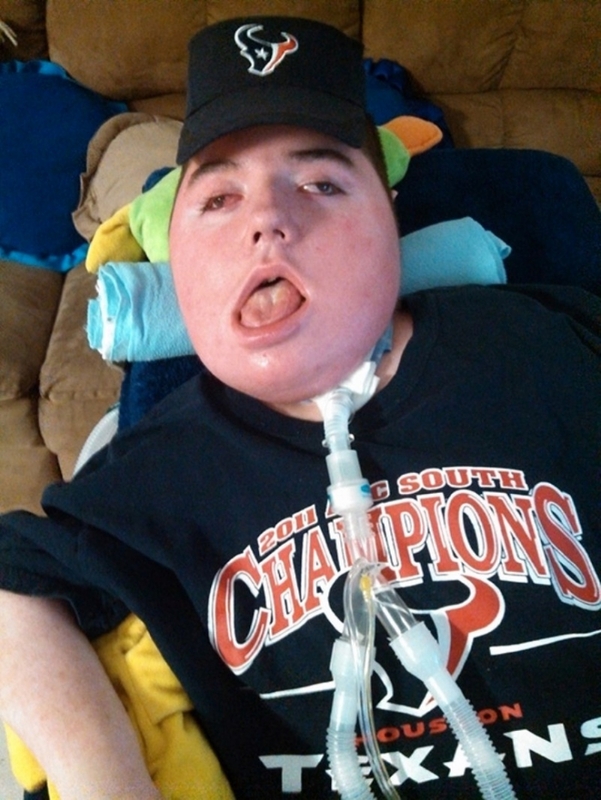 One of JD’s dreams is to attend a Houston Texans game to watch his favorite player JJ Watt. Rhonda says JD loves JJ because he never gives up. This is Randy. Randy entered JD’s life in 2004 when he started dating JD’s mom, Rhonda. The two bonded instantly and Randy quickly became a father figure to JD. In early December 2012, the typically-healthy Randy fell ill and was rushed to the hospital where he was found to be bleeding internally in 5 different places, including his brain. He was diagnosed with a rare form of Leukemia. After spending 40 days in the hospital, doctors didn’t expect him to last through the New Year. 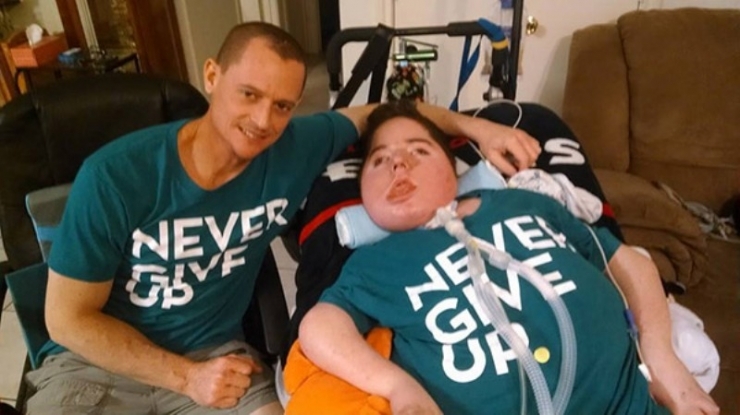 Despite doctors continuing to tell them both that their time is limited, JD and Randy are still getting out and seeing the world. This is how JD’s family must transport him currently. They have a hitch on the back to carry his wheelchair. Those days are over. From now on, JD will travel with life support, comfort, support, entertainment, and virtually everything he will need. This was the moment JD saw his freightliner for the first time. A back up generator insures that JD will be safe once the car is turned off as well. Now the family can arrive at their destination with his temporary batteries fully charged and ready to go. JD has been fighting the odds his whole life. 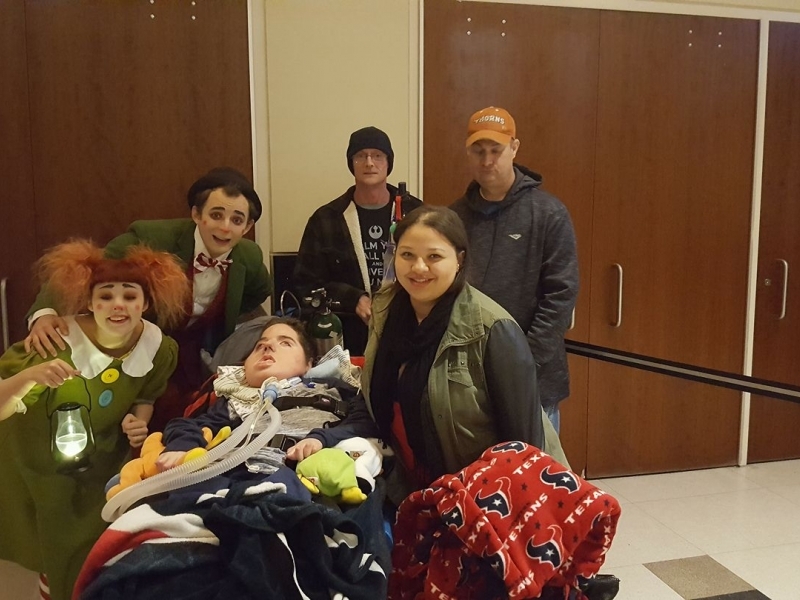 Thanks to Chive Nation, his fight will become a little easier. His new ADA Freightliner will allow him to see horizons that no one thought he would ever experience.